I like the idea of the Iron Marines lore contest, personally. Ruby_Hex wrote: I like the idea of the Iron Marines lore contest, personally. Sigh, no more signature jokes. Ok, I'll whip up something good when I get home from work. If on the odd chance there is anyone still interested in Kingdom Rush contests, I have an idea for one. Let me know. I'd be down, if testing doesn't get in the way. As someone who's pretty new to these forum contests, they sound interesting. Quick question: are previously posted ideas allowed for these contests? Or are completely new ideas required/recommended? New required, I believe. Old can be acceptable if modified sufficiently. 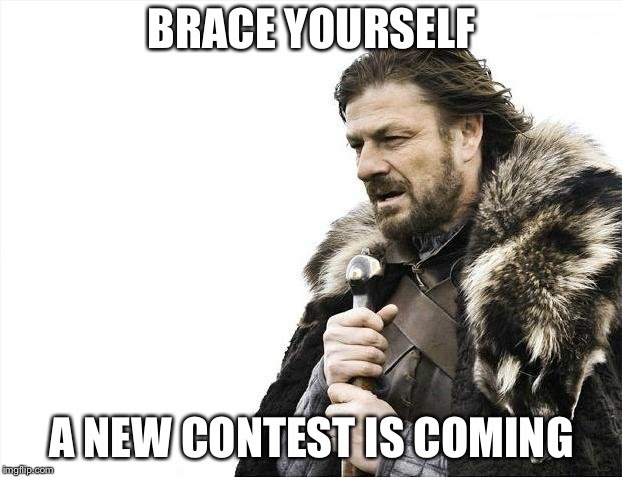 Harkmen wrote: As someone who's pretty new to these forum contests, they sound interesting. They really should be new. Reusing your old content means youve had longer to work on the entry than other people. This contest in my head would be part Hero design part Lore, based on an old drawing I came across in my folders. I thought as much. So suppose I come up with a Hero for the sake of the contest, yet is also a part of a grander idea I had previously shared in the forums. Would I have to do a lot of explanation for you guys to trust that it was a new idea? That's fine, stuff made for contests has gone on to be developed into fully fledged creations many a time. With increased forum activity due to the announcement of Kingdom Rush Vengeance, I feel a similarly themed contest could be successfully. Is there enough interest for a decent contest, one that would maybe have an after discussion instead of ending when the winner is announced like the past few? I would definitely try to participate, as I have been itching for a new contest lately and thought of even making one myself. And I know I’m bad at keeping my promises about after discussion a lot of the time, but again, I would certainly try. Sure. I have more free time in college than I expected, so I can work on something. However, with the new Iron Marines update about to be released, I feel like a contest related to that game would be more appropriate at this time. Big Bad Bug wrote: Sure. I have more free time in college than I expected, so I can work on something. However, with the new Iron Marines update about to be released, I feel like a contest related to that game would be more appropriate at this time. The last Iron Marines cont st had entries, but after the voting it just ended. There was no feedback from anyone, and there hasn't been any interest in it since. I did have a crossover IM/KR contest but I never had a means to use it given that forum activity between the two was not enough. After the expansion for Iron Marines is released, I’m anticipating increased activity and interest in the game. Beta testing alone has inspired me with a plethora of hero ideas. However, if I’m wrong, no big deal. I’d be happy for any kind of contest, really.